At the first Unpacked event of the year, Samsung today officially takes the wraps off its new flagships, the Galaxy S8 and the Galaxy S8+. They're arguably the most important Android smartphones to launch this year, featuring drastic changes in terms of design and cutting-edge internals that set it apart from the competition. The highlight of the Galaxy S8 line is the display, a 5.8-inch panel on the standard model and a 6.2-inch screen on the plus version. Both are taller than before, with an aspect ratio of 18:9, nearly filling up the front panel -- just like on the new LG G6. The upside to the new displays -- which are both Super AMOLED with a resolution of 2,960 by 1,440 -- is that there is more room available for content. The downside is that, at least in the current incarnation of this technology, the fingerprint sensor has to be moved to the back of the device. That's a poor placement, in my opinion, as it now means you have to pick the device up from a flat surface to unlock it, whereas with the Galaxy S7 range you could just press and hold your finger against the home button -- which is now gone too, as a result of the bigger screen -- to get to the homescreen. Powering the new range is Samsung's new Exynos 9 Series 8895 and Qualcomm's new Snapdragon 835. Which one you get depends on the market where you will buy your Galaxy S8 or Galaxy S8+. North America typically gets the Snapdragon treatment, while Europe gets the Exynos versions. The performance should be pretty similar between the two processor options, maybe with a slight advantage for the Exynos-powered model in terms of outright speed. You can read more about the two chips by clicking on the links above. In terms of RAM we are looking at 4GB for the Galaxy S8 and Galaxy S8+. Both are coupled with 64GB of UFS 2.1 storage, and, just like on the previous generation, there is a microSD card slot for expansion. Battery capacity is 3,000mAh for the Galaxy S8 and 3,500mAh for the Galaxy S8+. The camera hasn't changed in terms of specs, compared to the Galaxy S7 line, featuring a 12MP sensor and f/1.7 lens. There's optical image stabilization on board, as you would expect. The front shooter features an 8MP sensor and f/1.7 lens, and, quite importantly for selfies, autofocus now as well. The Galaxy S8 and Galaxy S8+ are still waterproof and capable of wireless charging, which is good news for those who liked those features on the last Galaxy S generation. The software is pretty standard Samsung affair, which means that it's customized with the company's skin atop of the latest version of Android -- which is Nougat. But there are also some pretty interesting features thrown in, like Bixby. It's Samsung's latest answer to Google Assistant and Siri. It's touted as a smarter voice assistant, that's able to ask for more information when needed and process commands with missing information to the best of its abilities. Some built-in apps are already optimized for Bixby, while third-party developers will be able to do the same through an SDK that will be available "eventually." Samsung has done something interesting with the accessories, offering a dock, called DeX, that allows users to hook up their Galaxy S8 or Galaxy S8+ to a monitor, keyboard and mouse. It's to improve productivity, and it's quite similar to Continuum on Windows 10 Mobile. The Galaxy S8 is fairly compact and so is the Galaxy S8+, if you're coming from a previous-generation flagship. The former comes in at 148.9 x 68.1 x 8.0mm and 152g while the latter measures 159.5 x 73.4 x 8.1mm and weighs 173g. In comparison, the Galaxy S7 and Galaxy S7 edge came at 142.4 x 69.6 x 7.9mm and 152g and 150.9 x 72.6 x 7.7mm and 157g. What about availability? US consumers will be able to pre-order the Galaxy S8 and Galaxy S8+ starting tomorrow, and buy it starting April 21. Pricing will likely vary depending on carrier. Available color options are Midnight Black, Orchid Gray and Arctic Silver. 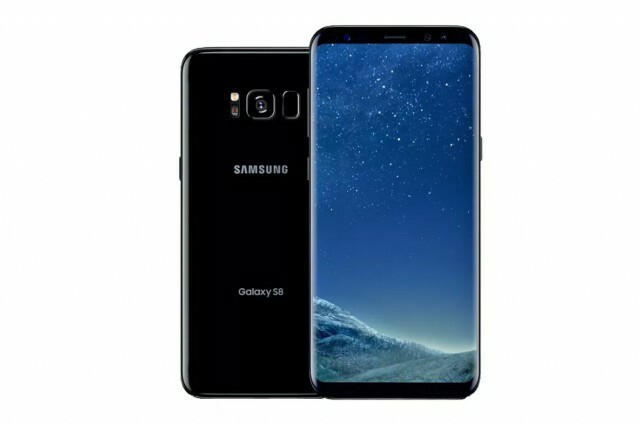 In Europe the Galaxy S8 and Galaxy S8+ will be available to pre-order starting today, as I revealed earlier and will go on sale on April 28. Prices in UK are £689 for the Galaxy S8 and £779 for the Galaxy S8+. There are two color options offered: Midnight Black and Orchid Gray. Artic Silver may also be available.